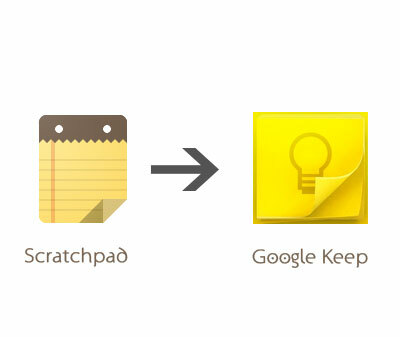 Google has made it official, it’s replacing the Scratchpad app for Chrome with Google Keep. This one is a no-brainer, as both apps do the same thing and Keep is obviously the more expansive service. Keep is cross-platform, it works on the web, so in Chrome, but there are also mobile apps for it.If you are a Scratchpad user, you have to enable Google Docs sync and all of your lists will be transferred to Keep. .
Google hasn’t been working on Scratchpad for a few months now and will soon retire it. Users are being notified of the impending closure, but for the time being you can still download, install, and use Scratchpad from the Web Store. How many of you have used Scratchpad, other alternatives is using Google Drive which allows you to create doc files and save them, which can be easily accessed anywhere.